It's no exaggeration to say that Life is Strange was one of our favourite games of last year. As a story-driven adventure game, it featured the kind of meaningful choices and branching arcs that meant we would often have to put our controllers down for a time to think about what we'd do next, and if wrapped that up in beautiful art and a wonderful soundtrack. At E3 2017 we got our first look at the upcoming prequel: Life Is Strange: Before The Storm. This game is set three years before the events of the first game in the series, and this time around you'll be playing through the story of Chloe - the close friend (and perhaps more) to Max in the first game. 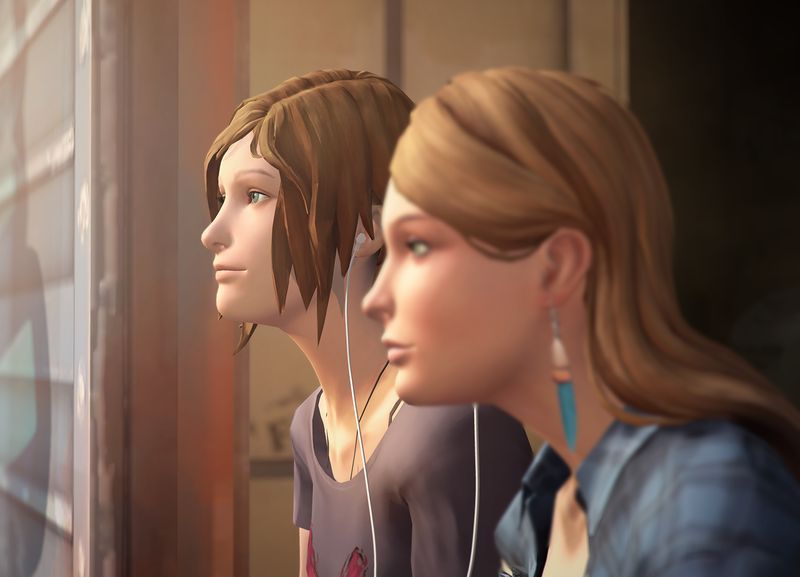 The story is about the friendship Chloe forms with Rachel - and those of us who played the original Life Is Strange know how that one turned out. Interestingly, this game has a different developer to Dontnod, who created the original Life Is Strange. This one's being developed by Deck Nine Games, and I would by lying if I said this doesn't deeply concern me. Deck Nine Games is not known for creating arthose games, or indeed top-tier games. It is, for the most part, a B-list developer that has worked on titles such as Madagascar: Escape 2 Africa, Ratchet & Clank Collection, the Cool Boarders series, and Neopets: The Darkest Faerie. A quote in the press release from the head of Deck Nine Games doesn't fill me with confidence, either. "It’s an absolute privilege to work on the next game in the series and it’s our chance to do justice to the series and prove the quality of our unique StoryForge toolset from our very talented team." Note here that, in a highly-curated comment in a press release that would have gone through multiple approvals through both Deck Nine and Square Enix, what the head of the studio decided to trumpet was a technical toolset. Not the strengths of Life Is Strange; its narrative, characters, and thematic intelligence. Oh no, it's a graphical toolset that's important this time around. I'm not convinced that Deck Nine Games has the right talent or understanding of Life Is Strange to do Dontnod's vision justice, and I'm not sure Square Enix has much respect for the franchise to fob it off to a developer like this. I could be wrong. I hope I am. The trailer was not horrible, and in another video on the developer (below) there's some good things being said, but after seeing it at the Microsoft press conference, and then reading about it now that details are being shared, my gut reaction is one of deep concern.